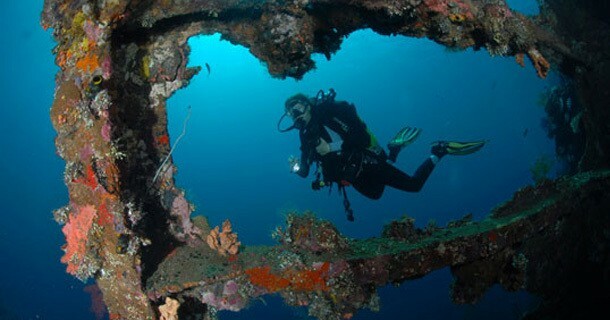 Scuba dive Indonesia’s best dive sites! 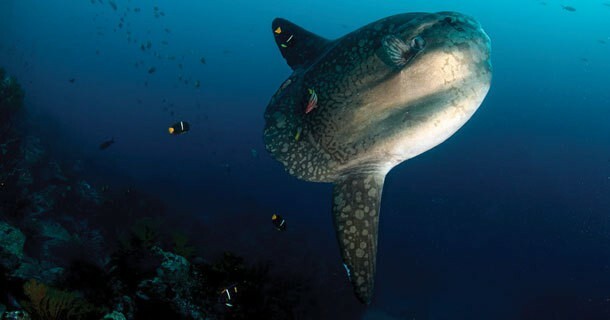 Dive with the mantas and mola-mola that made Bali famous. 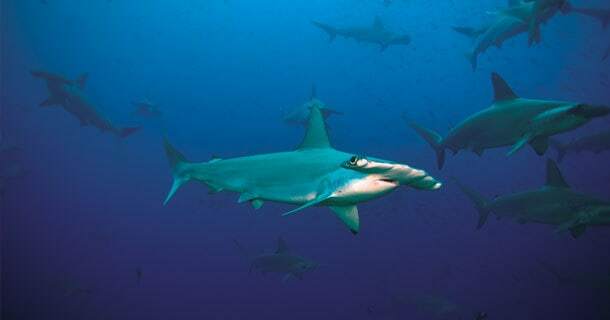 You will also find large schools of fish, colourful soft corals and a range of critters from macro to pelagics. Enjoy wrecks, pinnacles, drifts and amazing muck. Something for everyone! Reefs, wrecks, great muck dives, drift dives, whatever you like – all from our base in Amed, a laid-back town away from the touristic centresThe world famous USAT Liberty Shipwreck is just 20 minutes away – dive there before the crowds arrive! STAYING IN SANUR / KUTA / SEMINYAK / LEGIAN? We have a dive center in Sanur and we run day-trips from Sanur / Kuta / Seminyak / Legian to Tulamben, Amed, Nusa Penida/Nusa Lembongan and Padang Bai/Candidasa. 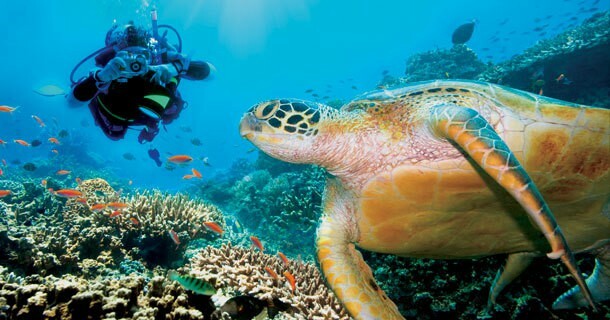 Right in the heart of the award-winning Bunaken Marine Park, the diving offers beautiful corals, lots of fish, amazing small critters, and some larger exciting creatures including reef sharks, turtles and barracudas. 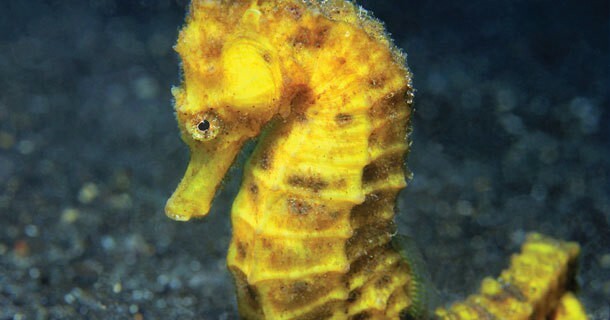 Hunt for amazing critters in Lembeh Straits, the muck diving capital of the world that is recognized to contain the most dense population of critters in the world such as frog fish, pygmies, blue-ring octopus, flamboyant cuttlefish. A group of tropical islands in the south with white sand beaches, only a few dive resorts, and not much topside goings-on apart from snorkeling, swimming and scuba diving. 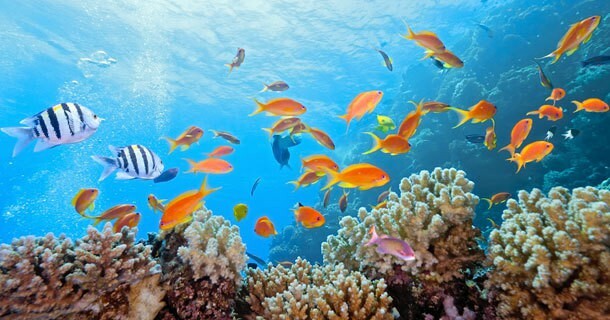 Great diving with pristine and lively reefs, and abundant marine life. Tropical island dive resort right on the beach, away from the crowds of Gili Trawangan, but close to its dive sites. 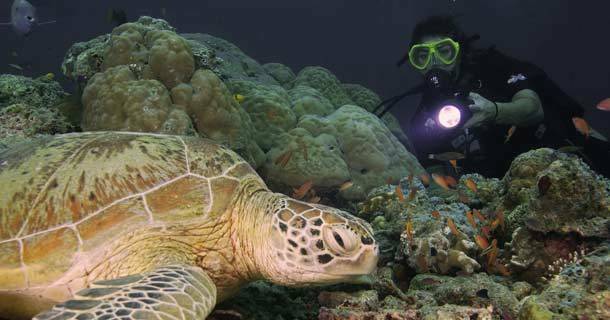 95% chance of turtles on most dive sites – we can all but guarantee them! Diving with Two Fish Divers means that you can book several stunning scuba diving locations with the same world-class operator in one holiday. You can dive both Bunaken and Lembeh, they are only 3 hours apart from each other. You can start or finish in Bali, its only a 3 hour flight from either Bunaken and Lembeh. You can add on South Lombok, its only a 3 hour ferry ride from Lembongan. Why not try all locations? Both Tina & Nigel took up diving in the early-1990’s in the UK as a hobby, and they were on a round-the-world trip when they first visited Bunaken Island in 1998. They loved the diving so much that they decided to give up their 9-to-5 jobs in London and stay on Bunaken Island to open up their own dive centre. more than 95% return us! Conservation involvement – we are active members of the conservation society, North Sulawesi Watersports Association (NSWA), through which we help organise initiatives on reef conservation. Other activities include helping Aquatic Alliance with their manta research in Lembongan, and regular beach & marine debris cleanups at all our dive centers. Our conservation work was recently recognized by Project Aware when they made us a feature member on their website in Nov 2012. 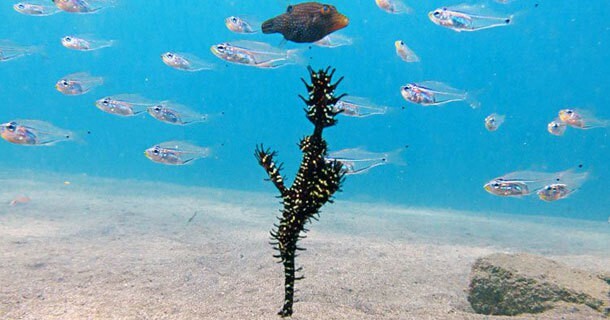 Check out our profile on Project Aware’s website: My Ocean, as well as other conservation initiatives we run by visiting our Conservation page. Please use one of the buttons below to navigate to Trip Advisor pages for each of our resorts. Stayed with us before? Why not leave us your comments too?